What happens when a poor Israeli bride is about to get married? Her parents struggle just to make it from day to day. There is certainly no money for “extras” – like a new set of linen for the young couple’s new home. These young brides try hard to make the most of their pitiful trousseau – but it’s hard to feel that special, optimistic joy and excitement when everything in your new home is a stark reminder of the bleak poverty you’ve always known. The founders of Eretz Tova Bridal Fund have seen firsthand the shadow of gloom that extreme poverty casts over wedding preparations. And they determined to do something about it. Eretz Tova Bridal Fund provides needy brides in Israel with a new set of linens, towels, and basic household items. The items are chosen and prepared with the same loving care we would give our own children, and special care is taken to maintain the recipient’s honor and dignity. Every young bride deserves her special moments of carefree joy. 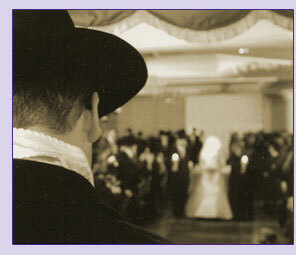 With the help of our friends and supporters, Eretz Tova Bridal Fund ensures that she gets it.